Can we be honest with each other? Is this a safe space? 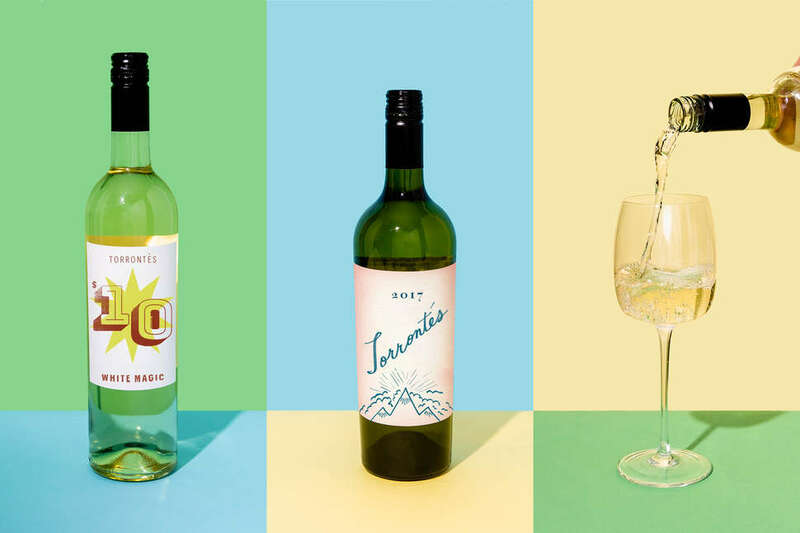 We know that you like your off-dry Yellowtail riesling or sweet Barefoot Moscato, but what you really like is spending $8 or less for a bottle of easy-drinking white wine. But did you know that for just a few bucks more, you can upgrade your experience twentyfold? Meet torrontés: the aromatic Argentinian grape variety capable of producing the ultimate summer sipping wine. Though most commonly made in a dry style, torrontés packs all of the fruit and floral notes of the aforementioned commercial stuff, but with none of the sugar. And given the relative quality that torrontés wines generally have to offer -- i.e. plenty of structure, balance, and complexity -- they’re still cheap as all hell. See, the grape has always had the potential to be awesome, but quite a bit of care is required to temper its naturally high levels of acidity, bitterness, and alcohol. Fortunately, Argentinian winemakers are now more skilled than ever before, so the US is finally beginning to see an influx of amazing torrontés. A little background. The native South American grape itself is divided into three sub-varieties: Torrontés Riojano, Torrontés Sanjuanino, and Torrontés Mendocino, the first of which is the most sought after, growing predominantly in Argentina’s northern region of Salta, where harsh conditions at high altitudes bring out the best of the grape. Torrontés grown in Mendoza and La Rioja are generally more muted in aroma and complexity, often destined to become sweet wines, or simple dry wines meant to be drunk fresh. But whatever the origin, Argentinian torrontés is generally known for moderate-to-high acidity, a smooth, balanced mouthfeel, and assertive aromas of citrus, peach, and flowers (typically rose petals). The wines pair just as well with traditional hot meat empanadas as they do with spicy Asian cuisines such as Thai, Chinese or Indian food. This is the low-budget wine you've been waiting for, one that doesn't compromise on taste. To get you started, here are some suggested torrontés wines from different regions and producers that can be found on the cheap (plus one splurge buy at just over $20 if you feel like getting cray-cray). The most affordable on the list, this Mendoza-grown wine presents aromas of jasmine buds and unripe peaches. On the palate, Norton’s 1895 Collección tastes of bitter citrus pith -- like biting into a grapefruit peel -- and has a slightly oily mouthfeel. It’s a young, vibrant wine with a quick finish, perfect for cleansing the palate while gorging on boldly flavored sushi rolls, or for knocking back glass after glass on the beach. One whiff of this Salta wine and you’ll know you’ve got torrontés on your hands. If 1895 smells like jasmine buds, this is a whole damned bush of full blossoms. The incredibly aromatic wine bursts with floral and tropical fruit notes and lychee candy. On the palate, fresh lime and raw almond flavors shine through, while a strong backbone of vibrant acidity balances any bitterness that the grape naturally carries. Colomé offers some of the best value on this list – especially for fans of gewürztraminer or Muscat. A blend of grapes from Cafayate (Salta) and Uco Valley (Mendoza), Crios is an intriguing hybrid of sorts. On the one hand, the nose presents delicate white flowers, pear, and freshly cut grass; on the palate, it evolves into a crisp, salty, tangy wine with plenty of acid. It’s so tart, it’s almost mouth-puckering. Lovers of refreshing, unoaked New World sauvignon blanc will adore this stuff, especially when paired with shellfish, or salads topped with goat cheese. Made solely in Cafayate (again, Salta), Piattelli offers a more restrained take on torrontés. Their wine presents a smoother ramp into flavor, favoring balance over brawn. Of course, all those peach and tropical fruit flavors are there, but most notably the mouthfeel is bit creamy, thanks to 20% of the wine having been aged in French oak for two months. If you prefer your sauvignon blanc a bit more subdued, in the Old Word style (i.e. oak-aged white Bordeaux), this is the torrontés for you. Big baller! Grown in Altamira, Uco Valley, this Mendoza torrontés may not be as complex as one from Salta, but Susana Balbo makes up for this by fermenting and aging the wine for three months in 100% new French oak. The result is a delightful blend of lemon and vanilla on the nose, with a surprisingly mellow finish. Still, as with most well-made torrontés, notes of ripe peach, citrus, and green apple come through on the palate, albeit smoothed out by the oak.